Meeting and going beyond your transportation requirements between Canada and key US cities is a core service of our company. We have the resources, technology, coverage and capacity to meet your every need. Using our own tractors and trailers allows Bestway Cargo to maintain the highest level of quality control insuring safe, reliable and timely transport of our customer's important loads. Bestway Cargo operates a fully integrated transportation software system along with an integrated satellite tracking system for all our power units. With Peak, your load does not disappear when it leaves the loading dock. Our dispatch and our trucks use satellite technology for two-way communication and position reports, 24 hours a day. This allows your shipment to be tracked, every step of the way. Our dispatch team works closely with our drivers to ensure that delivery schedules are met and can handle all your tracing and tracking requirements. At Bestway Cargo our mission is to succeed where no other can. To provide reliability & security to all of our loyal customers and at the same time, efficiently offering quality solutions that will enhance the image of your company. Bestway Cargo exceeds customer's expectations in the transportation of their goods and documents across the continent. We deliver value to our customers by providing the most reliable and efficient solutions in distribution and logistics. Bestway Cargo always meets the needs of our customers. Bestway Cargo employs only experienced drivers with a clean driving record who have passed 'OUR' driving test. We also require them to participate in on-going training programs. 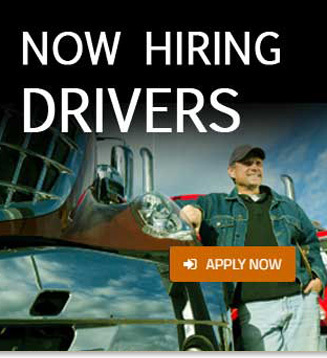 Our drivers are treated as professionals and as a result, our driver turnover is extremely low. Not only are our drivers concerned with driving safety, but the safety of your cargo. Our compound is fully fenced to keep your valuables secured.